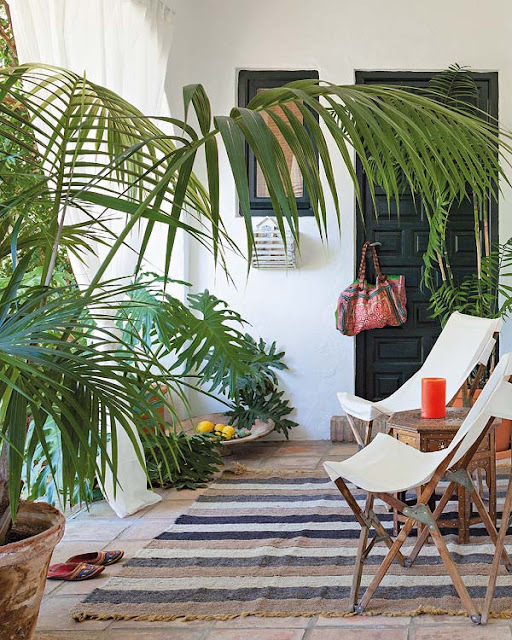 This home in Malaga intrigues me with its display of lively eclecticism. 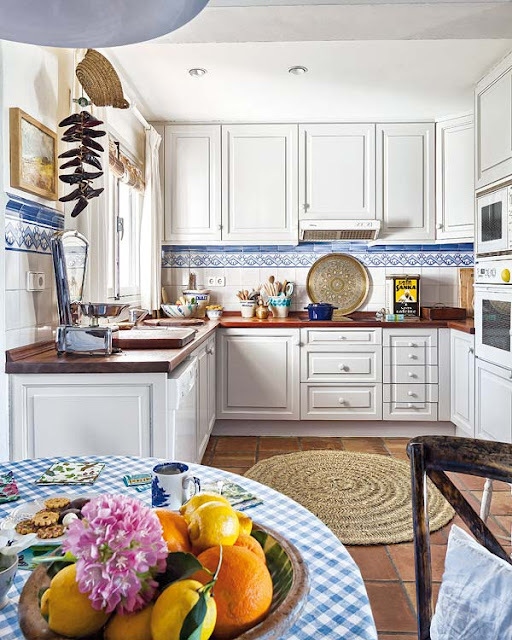 A home in my opinion is like a summary of experiences. For me my home reflects my personal taste and my travels. 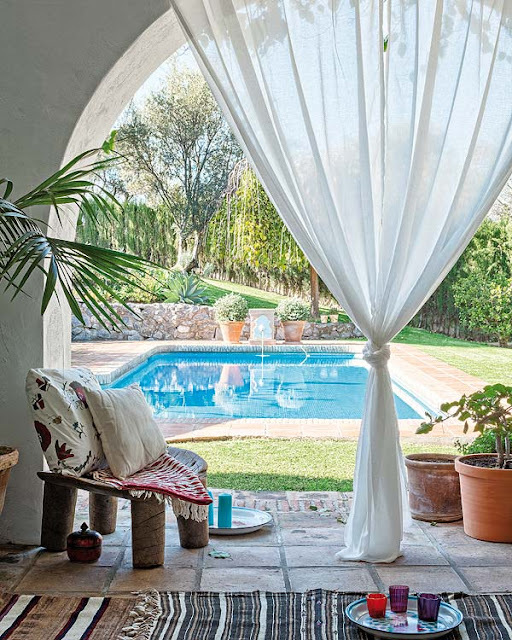 This holiday retreat in Spain strikes a chord with me. 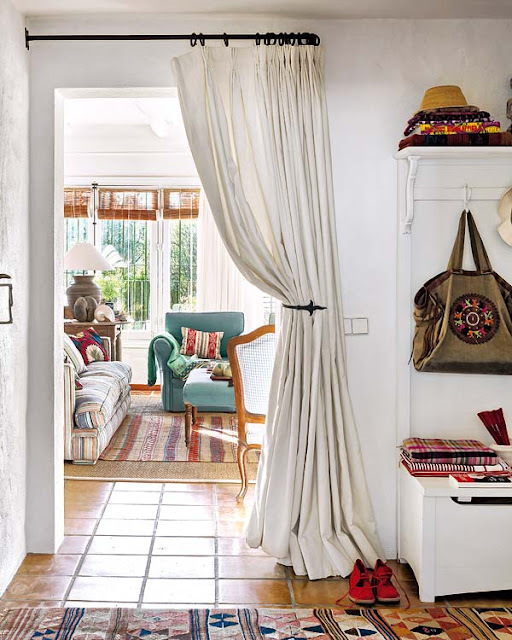 I like the presence of color and textiles. 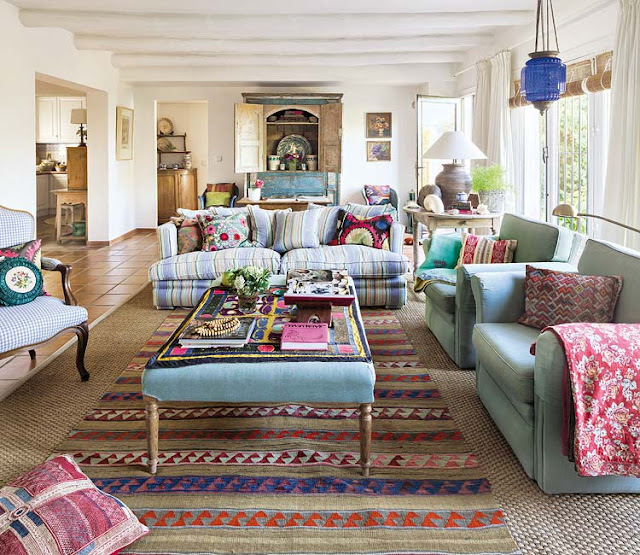 The owner is clearly passionate about textiles.......the carpets are from Morocco, the cushions, blankets and quilts are from Asia. The suzani's and the kilims pop against the neutral canvas and makes the rooms look bright, fresh and warm!